Enjoy a piece of Paradise with a picture-perfect view. Nah Hah is truly a one of a kind villa with more ocean frontage than any other villa in the Akumal area. The views are breathtaking and the ocean can be seen from every room in the villa. The infinity edge swimming pool looks as though the water is falling right into the ocean and swimming in it is a real treat! The villa is very private and spacious….perfect for a group or a family reunion! Nah Hah has over 4,000 square feet of living space with four air conditioned bedrooms, each with private bathrooms. Each of these bedrooms has an incredible view of the water so where ever you sleep, you’ll wake up with the beautiful Caribbean in sight! The master bedroom has a wonderful open terrace which overlooks the pool and sea. Set up a hammock and watch the days go by! Nah Hah features a large circular living room with lots of comfortable seating, a dining room with a beautiful wall mural, fully equipped kitchen, gorgeous entryway with a flower filled fountain and huge outdoor balconies both upstairs and down. There is lots of space so each guest can enjoy their privacy and a wonderful entertainment area in the living room with a stereo and CD player as well as a satellite TV with DVD player. There is also wireless high speed Hot Spot, so you can stay as connected as you want to be. If you like to snorkel, Nah Hah’s location is perfect! You can walk right out into the ocean by the swimming pool and find some of the best snorkeling on the Caribbean coast. If you would rather just relax, there are hammocks swaying on the balconies and outdoor built-in couches as well as lounge chairs….pure heaven for enjoying an icy cool drink. Nah Hah’s caretakers live on the property and can be hired to cook breakfast and dinner. Go on… why not spoil yourself! You can also choose from Akumal’s fabulous local restaurants, which all feature delicious regional food and, of course, lots of seafood! You’ll never regret choosing Nah Hah for your vacation…..it’s fabulous! Cancellations and reschedules are effective on the date written notice is received by Fax or e-mail in our office. Cancellations: All payments are non-refundable and non-transferable, unless Akumal Villas is able to re-rent the same property for the same rate and dates of travel, subject to a $200 cancellation fee. Cancellations made 30 days or less prior to arrival are 100% non-refundable. Rescheduling: You may reschedule 30 days or more prior to your arrival date, with the same property and number of nights, for travel within one year of the original check-out date, subject to a $50 rescheduling fee. Rescheduled reservations are subject to availability and price increases, and the weekly rate is based on the new reservation dates. Holidays: Holiday reservations may NOT be rescheduled. Holidays include Thanksgiving, Christmas and New Years. 14) NO REFUNDS FOR EARLY CHECK-OUTS OR NO SHOWS: Guest agrees that once they have checked in to the property, no refund will be made for early check-outs. If Guest does not cancel the reservation and does not arrive for the Guest’s rental period, all monies paid will be forfeited. 15) HURRICANE EVACUATION/ CANCELLATION POLICY: PLEASE READ CAREFULLY – Agent will not issue any refunds for inclement weather, hurricane evacuations or any other natural disasters. Agent has the right to cancel reservations if dwelling is rendered uninhabitable because of hurricane damage (destruction of home, loss of power and other services, etc). In the event of mandatory hurricane evacuation, guests will be allowed to reschedule any unused nights within 12 months in the same season or pay any difference of rate for another season. Guests may purchase travel insurance which may cover unforeseen weather circumstances, mandatory hurricane evacuations and other natural disasters. It is the responsibility of Guests to verify coverage with their travel insurance carrier. Our extended family had a great holiday!  The management co. Was very negligent in providing information and directions, but we managed. The onsite managers were excellent, great cooking, and recommendations. The house is very private, but close to everything. The snorkeling was excellent and pool perfect. We all really relaxed and left feeling really rested. We will be back!" Just returned from our 2nd visit to Nah-Hah and it did not disappoint -- we LOVE this house! We were a group of 7 friends and had plenty of room. Great location, quiet, comfortable, we had pretty much everything we needed for a really nice vacation. Jesus & Diameli took very good care of us; we had them cook for us one night and it was the best meal we had! Snorkeling access is wonderful; unfortunately, the weather didn’t cooperate for us and HMB was pretty rough, but we were able to go to Yal-Ku on the windy days and that was fun. Internet mostly didn't work while we were there, but it was clearly area-wide; all week we saw workmen along the road rewiring or something. Hopefully will all be fixed by next year because yes, we WILL be back!" House was clean and nice. Must instal window coverings over the bathroom Windows as the caretaker was found to be watching my wife taking a shower. Spent the last day there watching the windows as others showered." Location was perfect, view was spectacular, Jesus and his family were exceptional on quality and level of service." Villa Nah Hah was everything we could have wished fir and more. The situation and the house was perfect for our family vacation. Jesus and his wife cooked for us one evening and the experience was something we will not forget, the flan alone was worth it. Jesus is considerate in every way and looks after every detail. This holiday has been one of our best experiences ever. We thoroghly enjoyed our vacation at the Nah Hah villa. The setting is beautiful, especially the pool. The house and grounds help were lovely folks who did an outstanding job in all areas. And, the community is repairing the access road to the villa which will a welcome upgrade. Our family, plus two family friends had a wonderful time at Villa Nah Hah. We felt safe and comfortable during our 5 night stay. The house is lovely, with lots of common areas, plus large bedrooms. The pool is very private, with an incredible view of the ocean. Waves crashing on the rocks with an undisturbed view of the coast. We cooked dinners at home after long days in the sun. We visited ruins and caves, and walked to the lagoon for snorkeling. It was a really comfortable stay in a beautiful location." The home is exactly as it was described. It is a short walk to Ya Kul lagoon, and a 1.2 mile walk to Akumal. The caretakers kept the property very clean and were present to assist with any issues or questions we had. For a small fee they cooked two excellent meals for us. 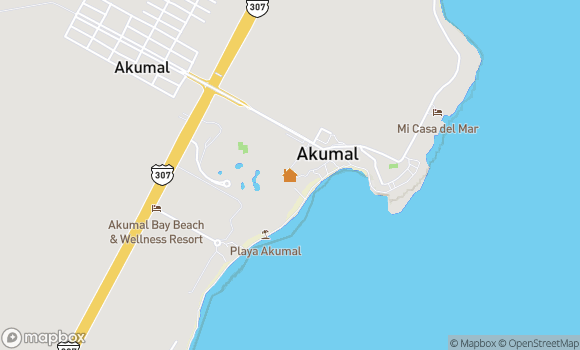 Akumal is in a great location to get to Tulum, Xel Ha, Playa, etc. We were very happy with our stay." Loved Nah Hah house. Could use better sheets on beds. No access to laundry machines although the wonderful caretaker couple, Jesus and Diamei, will do your laundry for you. We were lucky to also have private access to the Lagoon as the sister property was not rented while we were there. " Perfect! This is the best location we have stayed in so far and we come to Akumal at least once a year. The view and ocean breezes were amazing. Caretakers were great. We will be back!!!" Wonderful Villa in a magnificent location. The Akumal-Villas staff was very helpfull and everything was take care of in very professional manner. The on-site staff @ Nah Ha were absolutely phanomial!" We had a wonderful stay in Akumal at Villa Nah Hah. The location is beautiful and the staff friendly and helpful. We enjoyed touring Quintana Roo, with side trips to Tulum, Coba and Villadulid. The cenotes are all individually fascinating, and we greatly enjoyed swimming with the turtles at Akumal. The owner graciously let us visit another property, so we could swim at the fish bowl (la laguna) at Yal Kul (I think that is right). Beautiful scenery, wonderful friendly peeople, and great Yucatecan cuisine. The only downside - the road from the city gate to the villa gets rough in places." We had never traveled to the Rivieria Maya and had never rented a villa in Mexico before, but Nah Ha exceeded our expectations. The 240 degree view is outstanding and it's a wonderful choice to have between the bay and the infinity pool. The caretakers, Chucho and Diameli, were very friendly and solicitous. We enjoyed just lounging around, but also exploring the Tulum ruins, snorkeling in cenotes and touring the biosphere. I would highly recommend Akumal and Nah Ha for others." Not for the bug squeemish. The place is spacious, great pool. The night time water bugs are huge! The construction workers next door kept staring at us as we used the pool (creepy), and the other beach guests kept cutting through our pool and deck area. Not as private as we had hoped, too much foot traffic. The keepers dog had to be shooed away from pooping in the back yard a few times. My children would not play in the area because of that. Would be nice to have a broom and dustpan. It was located just far enough away from the coast and Belize to do some traveling. Beds are very hard." Everything was ok but nothing was outstanding or extraordinary. The staff was very nice and kept things clean but the furnishings should be updated. On the same visit I also rented two houses in Playacar and one in Puerto Aventuras for approximately the same rate. All three were superior to Nah Hah. When I return to Akumal I will look for a different rental. " First class all the way, spotless, well maintained,no complaints." This ad has been viewed 851 times.